One of the great features for administrators in SCCM 2012 SP1 is the ability to package applications for zero touch deployment to end users. Gone are the days of having to build a “catch all” image with all software titles or multiple images broken down by department, geographical location or job role. 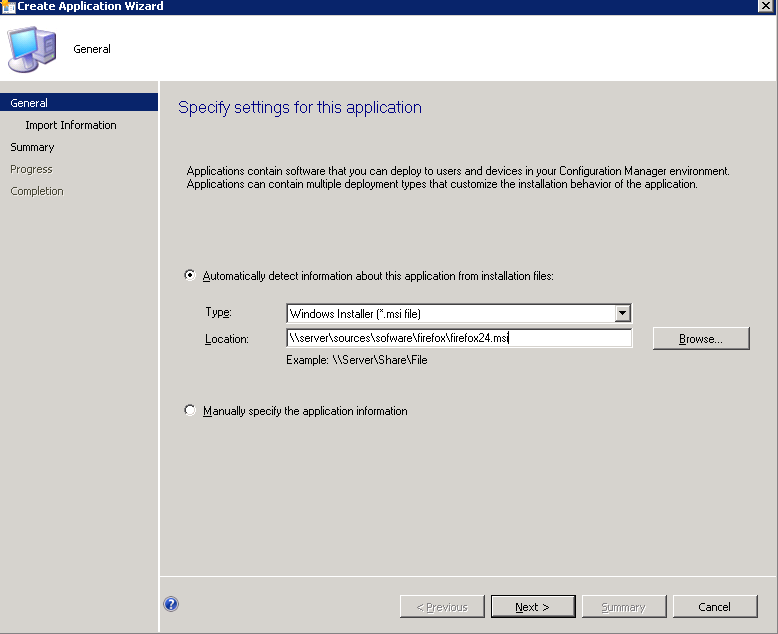 SCCM 2012 introduces application packaging and in this post I will give you a quick how-to on building applications with the easiest and most preferred method, .MSI. First, download an application that uses an MSI installer, such as Firefox. Go to Software Library, and choose the Application Management folder, choose Applications. 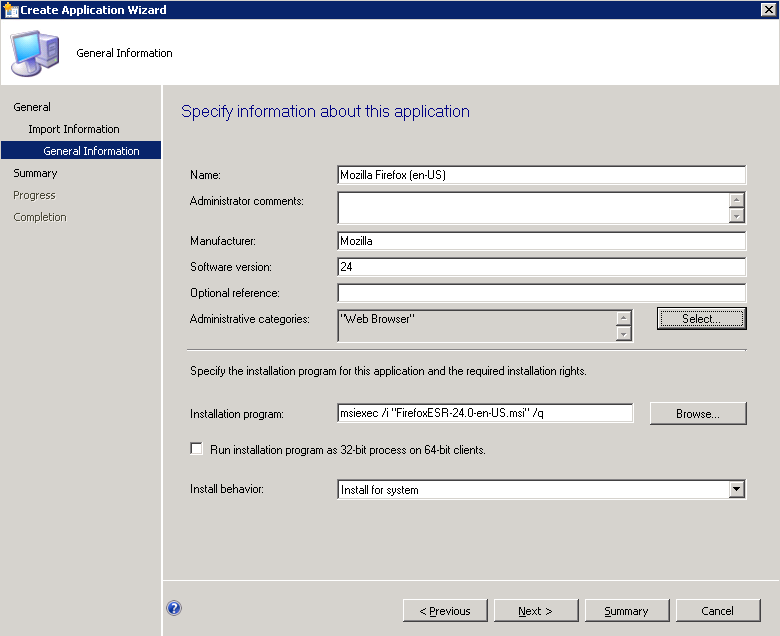 At the specify settings for this application, ensure “Windows installer (*.msi file)” is selected. Under the location field enter the location of your downloaded application, in our case Firefox. 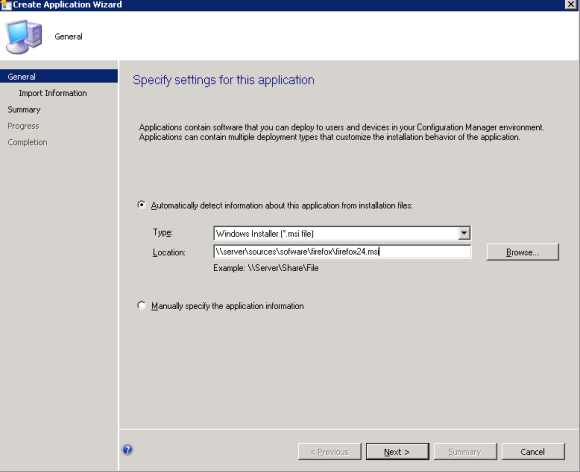 Ensure you use the UNC path and that the client has permission to read it, as the application will be installed from the local client. (ex: \\server\share\software\firefox\firefox.msi ) Click Next. At the view important information window, review and click next. At the general information window, enter software information. Pay special attention to the msiexec program field. Here is your chance to add any customization switches such as suppressing EULA, no updates, etc. Please see vendor documentation for instructions on doing this. At the summary page, review and click next. Click next at the general screen. Click next at the content to distribute screen. At the summary screen, click next. Click Close. Right click the application, and click deploy. Choose a collection to deploy the application to and click next. At the specify content page, click next. 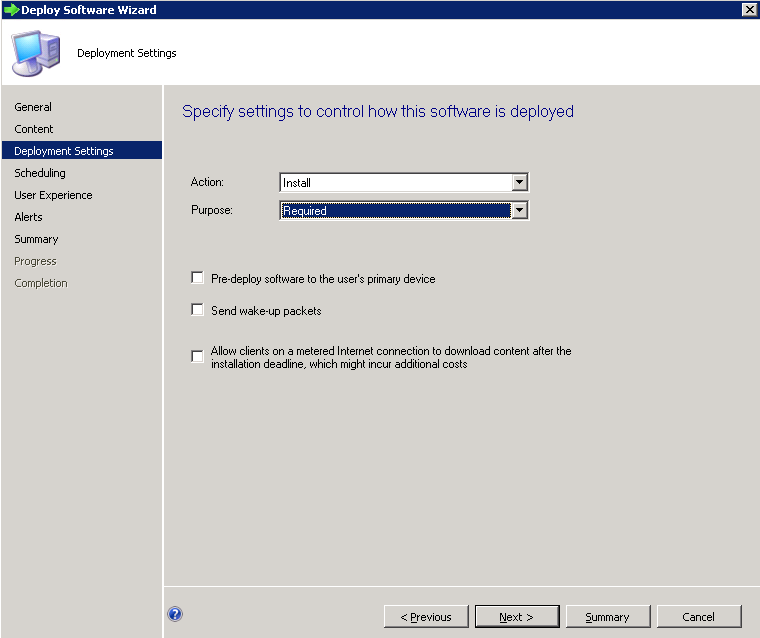 At the specify deployment settings page, choose install and required. Click next. Click next at scheduling, user experience, and alerts. Review at the summary page and click next. Click Close. 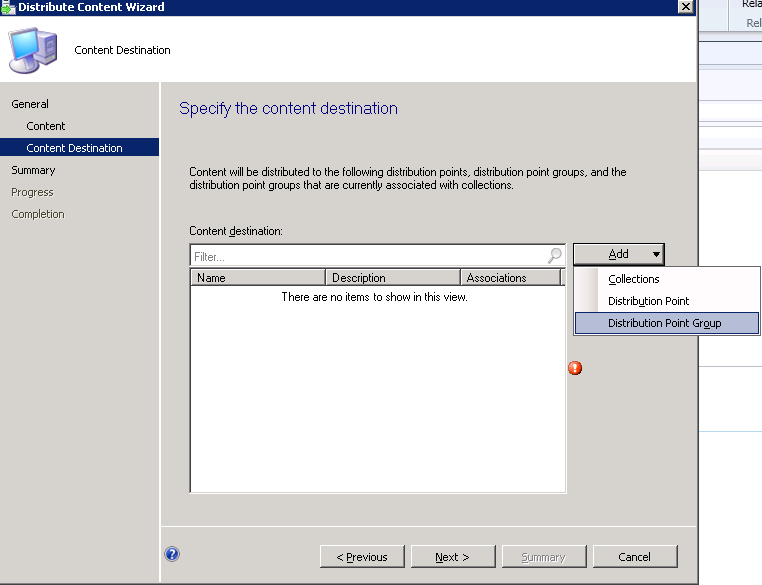 Now log onto a computer that is part of the collection you deployed to and observe the application being downloaded and installed in the software center. 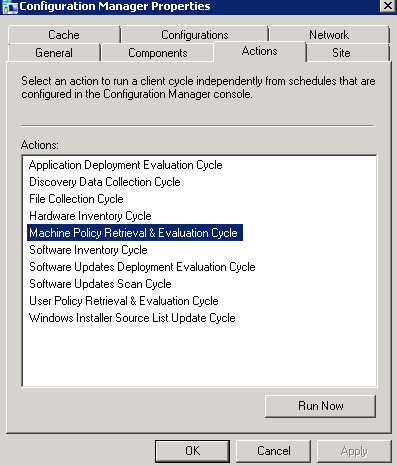 If you want to move things along go to Control Panel -> Configuaration Manager, Actions Tab and highlight “machine policy retrieval & evaluation cycle”. Click Run Now. This will tell the client to search for any new deployments.